Turn back the clock on your vasectomy. 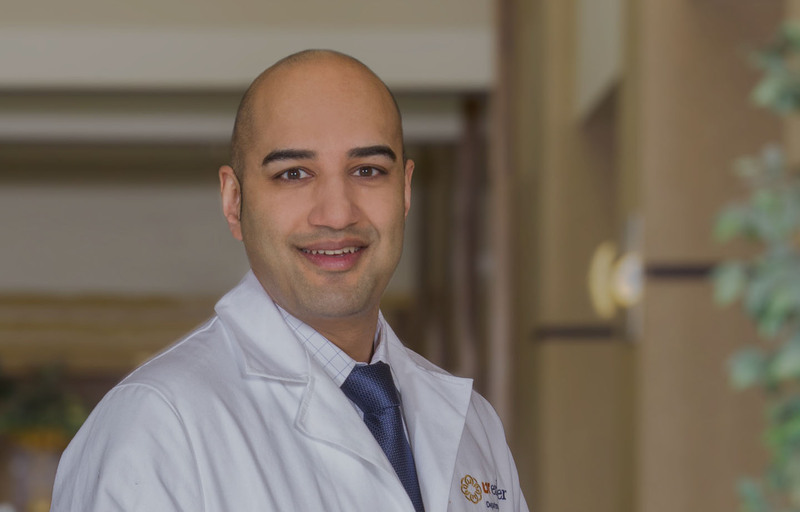 Anand Shridharani, MD is a board certified fellowship trained specialist in male reproductive and prosthetic urology with UT Erlanger Urology. Dr. Shridharani proudly serves Chattanooga TN, Knoxville TN, Northern Georgia, Huntsville AL and the surrounding areas with advanced and comprehensive management of the infertile male, reproductive microsurgery including vasectomy reversal, urologic cancer survivorship, and penile/urethral reconstruction. Compassionate care with award winning patient satisfaction. My name is Holly Day. My husband Justin and I were having trouble conceiving for over 2 years. After Justin’s surgery with Dr. Shridharani in December of 2014, we are now expecting a baby in January 2016. This wouldn’t have been possible without him, so for that we are extremely grateful. He is truly an amazing doctor and works is a very professional manner. Hopefully our success will be encouraging for others facing fertility problems! Thanks again for everything Dr. S!! Questions About Penile Implants? We’ve Got Answers! Is Steam the Answer to BPH?